Filed to: Companies still make film cameras? !Filed to: Companies still make film cameras?! Companies still make film cameras?! Black-and-white photos are old-timey, right? Most kids today don’t even know what a film camera is, so to get with the times, Canon is finally ending sales of its one remaining 35mm SLR: the Canon EOS-1V. Originally launched way back in the year 2000, the EOS-1V actually boasted some impressive specs for its time thanks its ability to shoot up to 10 frames per second, which almost two decades ago, made it the fastest moving-mirror film camera ever. 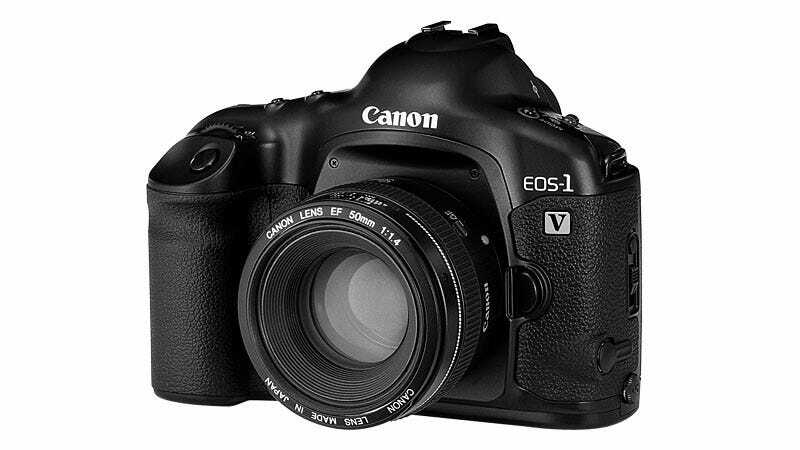 And despite going out of production in 2010, Canon had been selling back stock of the EOS-1V for the last eight years all the way up until today, when Canon announced that the EOS-1V would no longer be available for purchase. However, if you’re one of a select few still holding onto a relic of film era, fear not, because while you might not be able to buy a new EOS-1V, Canon says it will continue to provide parts and repairs until October 31st, 2025. How’s that for customer service? Currently, prices for second-hand EOS-1Vs on eBay and other resellers range between $300 and $750 depending on the camera’s condition, though that number is sure to go up now that the supply has officially run dry. And if you’re still really jonesing for a brand-new 35mm SLR, you could always convert to the dark side and check out Nikon’s stable, which still features two film cameras in the $570 Nikon FM10 and the $2,700 Nikon F6. Though you should keep an eye out for updates, because both are currently listed as “temporarily out of inventory.” Perhaps we spoke too soon. What Do You Keep When You Whittle a Collection of 2,300 Cameras Down to 200?